To celebrate the release of the newest great and greatest new children's math book... by which I mean Which One Doesn't Belong? by the #MTBoS' own Christopher Danielson, of course... I thought I'd recap some of my favorite math picture books. This list also has MTBoS support, as I solicited suggestions from the MTBoS for a colleague. The request was for a parent with a mathematically curious child (really, could be anyone then, am I right?) of 4 or 5 years. Moebius Noodles, Maria Droujkova's great book about big math ideas to explore. There were articles about calculus in kindergarten when it first came out. 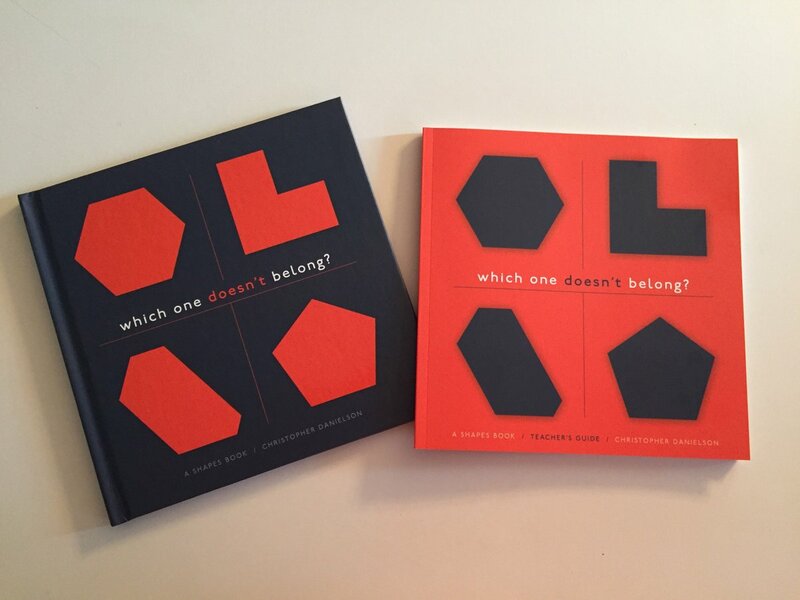 Great new book: Which One Doesn¹t Belong. OK, I'll say more. I love this book because it's clever and pretty, but also because it can teach you how to read mathematically rich literature. Math Curse, Lane and Scieska: just the best math book ever written. Nearly anything can be a problem, you know. Anno's Mysterious Multiplying Jar, or anything by Mitsumasa Anno. Just charming books, and lovely besides. Chris Hunter has a bunch of recommendations plus how to use them. A Wrinkle in Time, Madeline L'Engle (First I heard of a tesseract.) There's an audiobook where L'Engle reads it herself. Highly recommended. And please add your own suggestions! Cindy Whitehead saw that I missed the Sir Cumference books, by Cindy Neuschwander, and suggested the Go Figure books, by Johnny Ball.